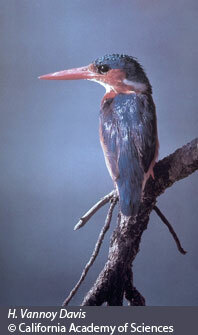 LOCATION: Freshwater ecosystems include lakes, ponds, rivers, and streams. Lakes are large bodies of freshwater surrounded by land, while ponds are smaller bodies of water surrounded by land. Lake Baikal, in central Asia, is the biggest lake on Earth; it contains about one fifth of the Earth’s freshwater and has a maximum depth of 5,315 feet (1,620 meters)! Lake Tahoe is a huge lake on the border of California and Nevada that originates from mountain stream runoff. Most lakes are still and contain diverse plant and animal life. Rivers and streams are moving bodies of freshwater, which usually originate in mountains and come from melting ice or ground water and eventually flow into the ocean. For example, the Amazon River originates in the Andes Mountains and ends in the Atlantic Ocean. Over time, as rivers travel, they change course and carve a path through the land. This causes ox bow lakes, caverns, and canyons. The place where fresh and salt-water meet is called an estuary. A unique place where two habitats come together is called an ecotone. Because estuaries are usually shallow, sunlight can reach all levels of the water. PLANTS: Plants and algae are important to freshwater biomes because they provide oxygen through photosynthesis, and food for animals in this biome. Yum, delicious algae. In fact, that slimy scum you see on the surface of a pond or lake is lunch for many of your favorite aquatic animals, like turtles. In fast streams and rivers many plants have special structures that keep them from being carried away by the water. Some aquatic plants have strong roots that keep them anchored securely, while others have stems that bend easily with the movement of the water. Certain mosses are able to cling to rocks. 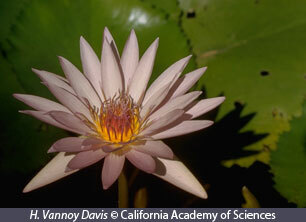 Plants who live in still waters have different adaptations. Water lilies, algae, and duckweed float on the surface. 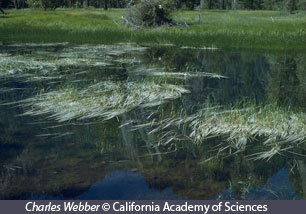 Cattails and reeds grow along the shoreline of many freshwater ecosystems. Estuaries house plant life with the unique adaptation of being able to survive in fresh and salty environments. Mangroves and pickleweed are just some examples of estuarine plants. ANIMALS: Many animals live in freshwater ecosystems. Some need the movement of the stream or river water to survive. In fast moving waters animals that have to hold onto rocks and the bottom may have suction-cup like structures on their bodies. Others thrive in still water environments, like lakes. There are a variety of fish, birds, insects, amphibians, and crustaceans that make freshwater biomes their home. One important freshwater animal in the United States is the trout. Many people love to fish for, and eat trout. Trout live in both streams and rivers. They eat fish and insects. Estuaries are rich in animal life and are often a protected area where juvenile creatures seek refuge. There are also a variety of animals who live in estuaries that people like to eat, for example clams, shrimp and lots of fish. PEOPLE AND FRESHWATER BIOMES: Without freshwater biomes you and I would not be alive. Freshwater ecosystems are important because they provide us water for drinking; energy and transportation; recreation, like boating and fishing; and many jobs, like fishermen and researchers. One way that people use rivers is to produce hydroelectric power. As water passes through a dam, and into a river below electricity is produced. A device inside the dam called a turbine uses magnets, metal, and the movement from the water to produce electricity. When a dam is built, an artificial lake is created behind the dam. Dams can be viewed as good and bad. Dams may provide pollution-free energy, and create lakes for people to enjoy, but they can also damage the environment. 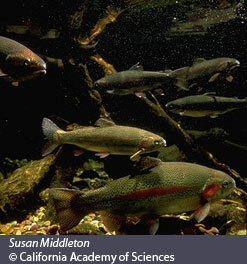 Salmon are a species that use rivers to spawn, and are often hurt by dams. Wetlands are also an important type of freshwater ecosystem. They may be soggy and stinky, but they provide critical habitat for tons of plants and animals, help clean our water, control floods, and provide food for humans. Did you know that cranberries come from wetlands? So, what can we do to help freshwater biomes? First of all, we can conserve water. By using less water, we can help ensure that there is enough water for a healthy biome. We should also be careful not to pollute. Be careful what you put down the drain. By fertilizing the lawn with chemicals and allowing our cars to drip nasty oils and fluids we are polluting freshwater biomes. The rain carries these pollutants down storm drains into rivers, streams, lakes and ponds. Another thing you can do to help is get involved! Volunteer with a stream team, or community group that works together to monitor and restore nearby freshwater biomes. By doing this you will learn more about freshwater ecosystems and get to see the cool plants and animals that make these biomes their home. Freshwater ecosystems: What’s it like where you live?